For transient and migrant workers, a MicroCom allows small, efficient living while saving for actual land or house in the future. The tiny house could be transported to the property if desired. In 2008 I discovered a design contest out of New York and tried my skill. I’ve had a fascination for what I call ‘small living’, and found this as an opportunity explore those interested. The contest had simple technicals: an 8″ x 8″, print ready image. The premise was also open to interpretation: What would the world be like in 60 years. Additionally, if an entry won, it would be in a publication with all winning entries. A gallery show featuring the book and its art would also be held as a launch party for the publication. Unfortunately I couldn’t make it to that, but winners were also given a complimentary copy of the book. I turned the logo into an explanation at the same time. As mentioned, I have a fascination with ‘small living’. Some call it efficient living, others think it has to do with the more recent trend of ‘tiny houses’. it’s really much more general than that. Small living, as I interpret it, is not only small living and tiny homes, but also incorporates ideas of lessening other costs with the consideration to build to better, larger things in the process. To meet the needs of overcrowding nation states, the suburban landscape has transformed. Consolidating into ‘Micro-Communities’, small yet complete living quarters of various style are grouped about a central hub of  Community markets and plazas; - power, tool, and maintenance facilities; - other main utility connections, and  a central Wi-Fi internet broadcaster. All housing is prefabricated and allowed be purchased out-right by immigrants, transient workers, singles, or childless partners. Upon agreement to assist the community, purchaser may option to move prefabricated home to a location of their choosing at a much later date (5, 10, or 15 year plans). The system is designed to allow such laborors, young professionals, and retirees to live in a feature rich, low-cost neighborhood while able to save more for longer term residence on larger land of their own. That’s essentially it, besides legal and technical issues that would need addressing if this was a reality. It basically marries the idea of a suburb with the community of a campground. Some might think it’s a reinterpretation of a mobile home neighborhood, but my plan calls for limits of stay in the MicroCom. 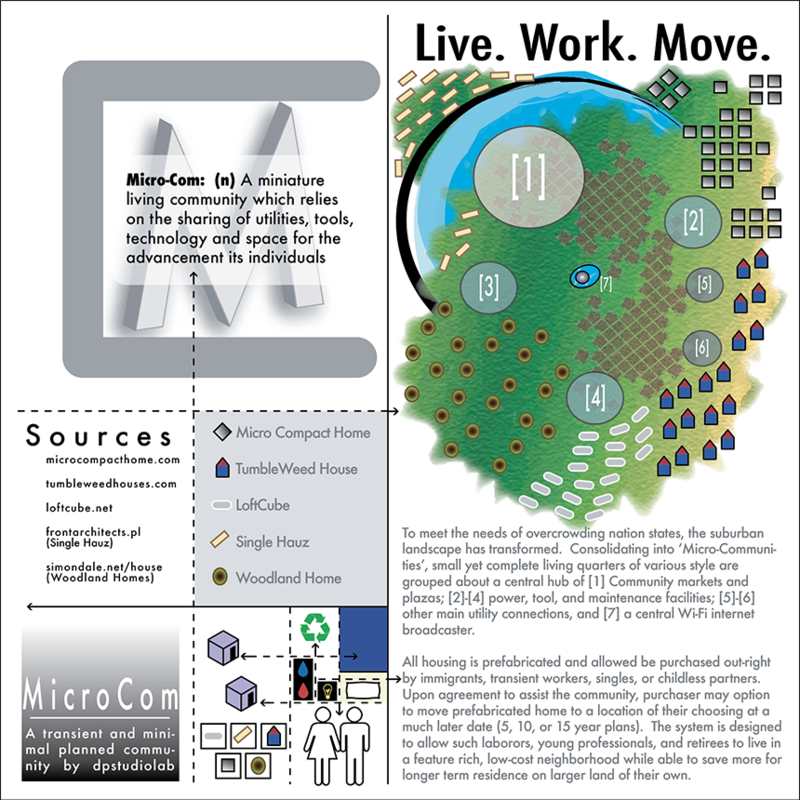 Extensions could be applied, but the core idea is that one lives in MicroCom as part of a larger savings plan to eventually move out to their own land and larger house. Many, many people do this on their own already informally by starting in an apartment, and then buying a house. My plan sets up the process formally. As an aside, it’s not impossible for utilities such as power to be renewable such as solar or wind. This would then fall into the care responsibilities everyone share in the MicroCom. While living in a MicroCom, utilities (even internet/TV) are shared as well as landscape care. Everyone pays a portion of the total bills. In pretty much anything I create or do, I’m conscious of what I take away from it, or deliberately set about learning something new. In this case, it was Adobe Illustrator. I’ve worked with most Adobe products since the mid 1990s, but Illustrator works dramatically different from Photoshop. I of course learned Photoshop first, and naturally favor it, and always found Illustrator a bizarre beast. If I didn’t win a place in the contest, at least would finally grock the app that is Illustrator. The tiny diagram in the bottom middle of the page. It ties the housing idea to all the comforts of living. This is the primary reason the aesthetic is overly simplistic and linear, but also I wanted the idea and its implication to be clear. What resulted was a clean montage, almost infographic, describing an idea of mine of the future. The minimal nature of each segment, and since they retain similar characteristics, also allows for unity of image as well as concept. I like squares. Perhaps it’s the German designer in me, but crisp angles and clean lines are very pretty. Also, I didn’t really know how to express the idea of first. I drew a grid, and that grid got divided. Then since I thought my idea was golden, I incorporated the Golden Spiral and began using dashed lines with arrows as the dividing elements. the spiral starts at the right and terminates in the small diagram in the bottom middle. All these ‘tiny houses’ were actual homes in 2008. I was ahead of my time: HGTV’s Tiny House Hunters 1st aired in 2014. There are many ideas and drawings I have in my sketchbooks that years later I see forms of, if not the actual thing, in the real world. It’s happened far to often for it not to be some type of psychological ability I have to spot trends, patterns, and tendencies. Many times over the last decade or 2, I’ve seen something appear in the wild and I have to pause and dig through my sketchbook library. Invariably I find my drawing or idea recorded 4-10 years ago that echoes, is similar, or exactly the same as the idea that triggered the research. The MicroCom is a prime example of this: first tiny homes became a trend and now a regular aspect of home buying (seriously, HGTV’s Tiny House Hunters which… how long could that show actually be?). 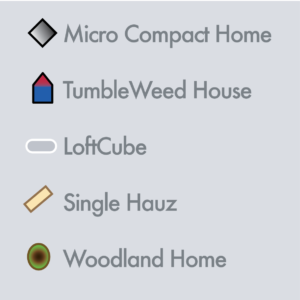 As of at most a year ago as of this writing, I’ve seen more modular tiny home architecture proposals on design websites. These modular projects often incorporate interlocking homes wherein they could be moved to another building or stand on their own. I am not gloating or bragging in this, because more often than not it’s depressing to me as I think I’ve lost out by not jumping on my idea at the time and getting there first. I’ve had a few local shows, and random snippets of or about my work published. Be it sculpture or design, something of mine seems always out there by chance. Futrwrld was the very first contest that was completely foreign to me. It was out of town, I happened on it by chance, and entered because I could. Then I won! It was a nice confirmation of my skills and abilities it was also a contest that suited my attitudes and imaginings. I could project a plan for the future to a wider world. 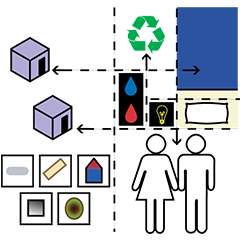 My invented and detailed package of a small facet of the future could be up for peer review in a way and that was exciting. Advert for the publication and show featuring the cover of the book. Good times.